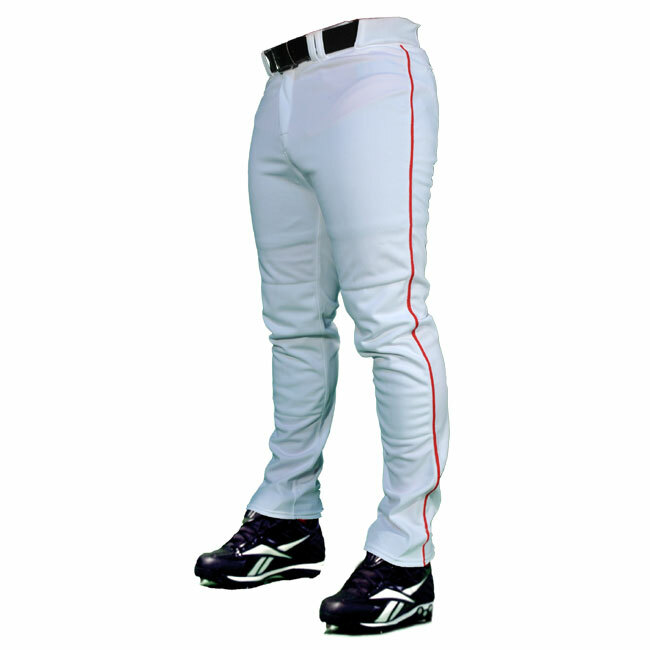 100% VISA® pro-weight polyester baseball pants, double stitched throughout, deluxe elastic waistband, tunnel belt loops, YKK zipper, 2 set-in back pockets, double knees, pro-length. Also available in custom lengths. 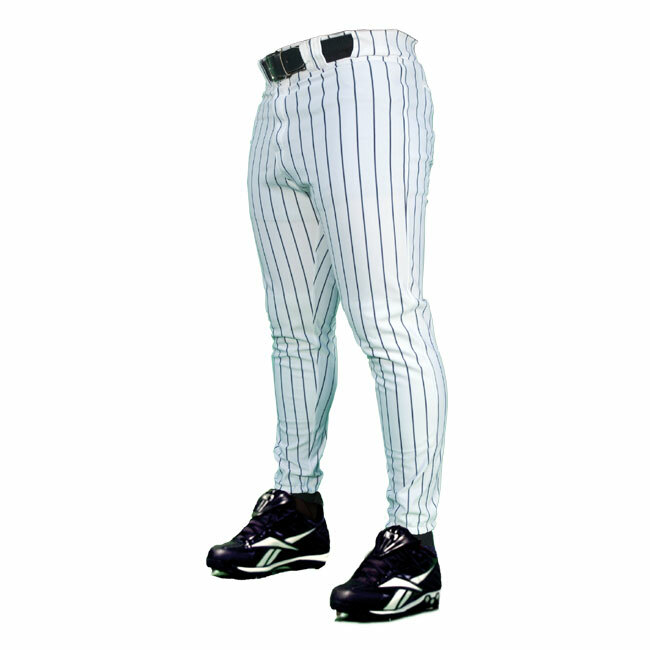 White pro-weight polyester baseball pants with woven pin stripes, double stitched throughout, deluxe elastic waistband, tunnel belt loops, YKK zipper, 2 set-in back pockets, double knees, pro-length. Also available in custom lengths. 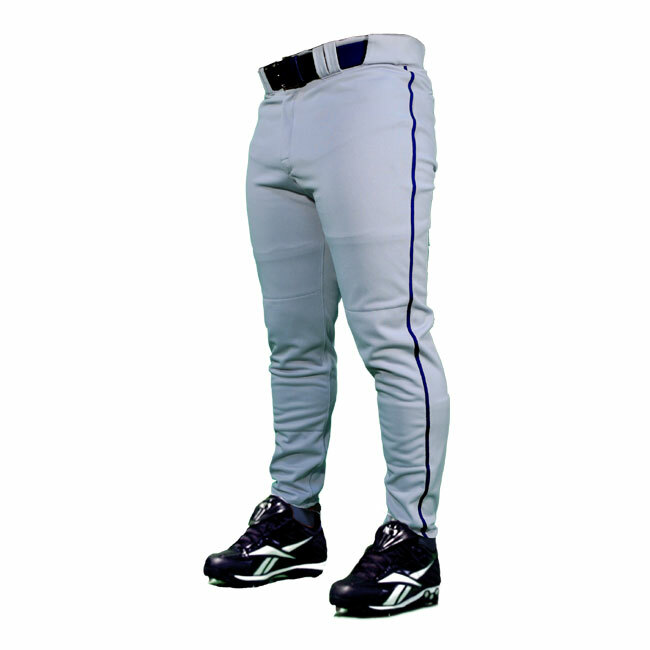 100% VISA® pro-weight polyester CLEMSON CUT baseball pants, 2 inches EXTRA inseam - compared to standard Pro Solid Pants, wider cut, sewn-in stirrup, double stitched throughout, deluxe elastic waistband, tunnel belt loops, YKK zipper, 2 set-in back pockets, double knees. 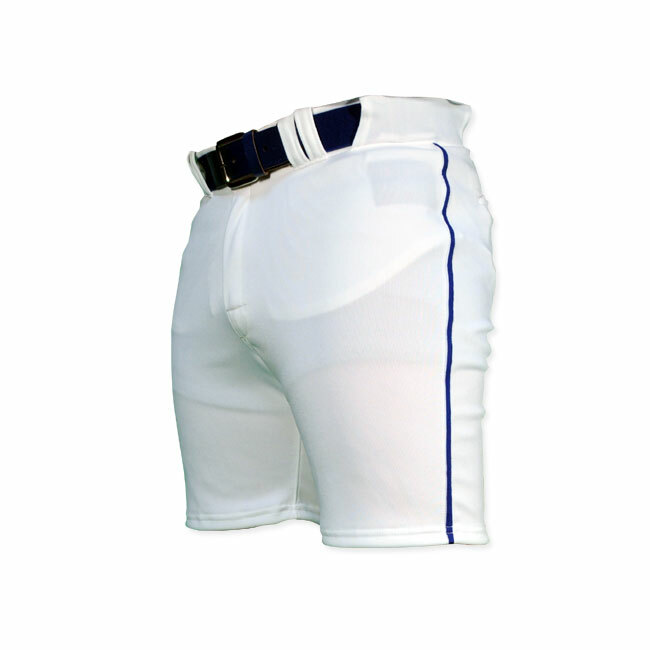 100% pro-weight polyester baseball shorts. Same features as the 201-1 baseball pants from the knees up.